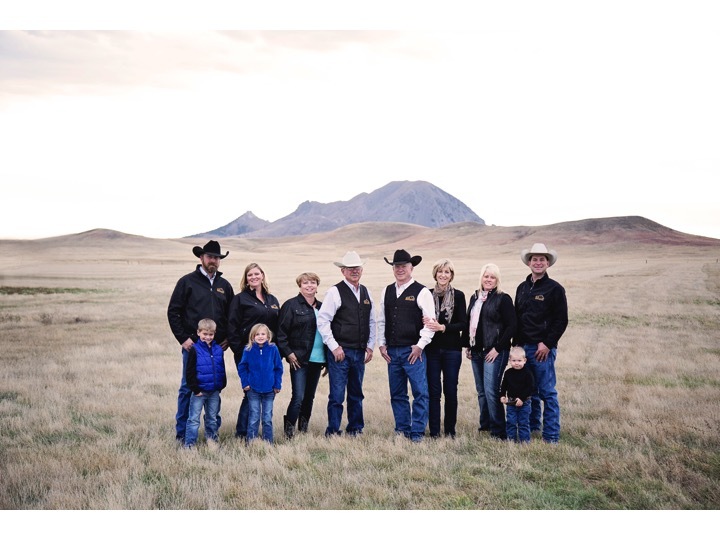 Blair Brothers Angus Ranch is located northeast of Sturgis, South Dakota. Here, we believe you can have it all when it comes to your cattle’s genetics. Many breeders in the cattle business believe you have to give up certain traits in order to gain others. We disagree. Our cattle excel in the pasture, feedlot, and on the dinner plate. We have the data to prove calving ease, maternal characteristics, adequate growth, moderate frame, efficiency, fast gains, and the ability to marble extremely well can be put into one package. Every bull we sell is out of a sire we chose to AI our cows to and his dam is a direct daughter of a proven AI sire. Many of our sale bulls are stacked three to four generations deep in AI pedigrees. The cowherd we built allows us to offer bulls in volume that will give you the most reliable source of predictable genetics. Our goal is to produce females that work for your operation and you are proud of incorporating into your herd. We believe you should not have to worry about dystocia, bad udders, and watching your back when you are dealing with a calf. Our cows must to be able to calve on their own then get their calves up and going in a timely manner. We select and use AI sires based on their proven EPDs and DNA profiles in the Angus breed. We continue using AI sires because they are able to produce the top genetics and power in our offspring, while still maintaining soundness on their feet and legs. We position ourselves to produce the best beef to supply today’s cattle industry. Carcass traits are important to the consumer, and are the few traits the producer actually gets paid for that do not cost him on the ranch. When killed on a grid, our offspring have achieved 100% Choice and 50% Prime. These cattle brought back $200 per head over the market price, and we want you to achieve the same results.